Simon Says: We’re Seeing Stars! Thank you for joining us for the Plaid Challenge and we hope you will all join us again this week too. Here is my take on the challenge. 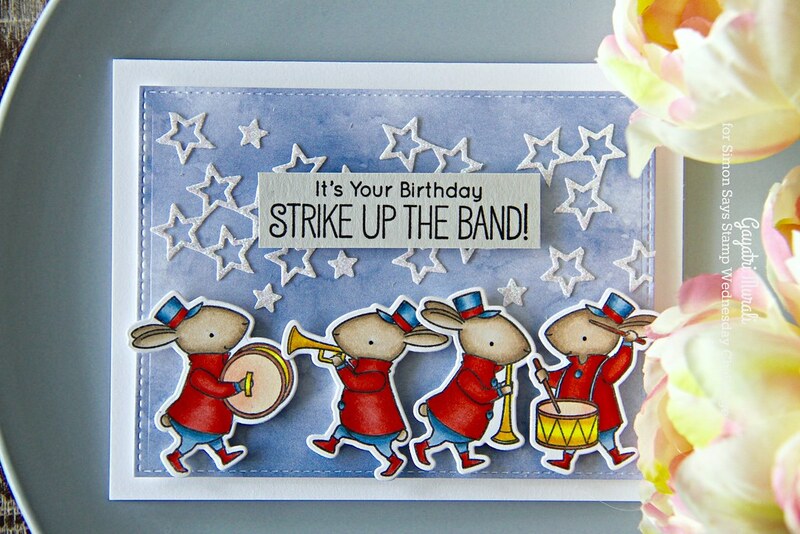 I used MFT’s Striking up the Band stamp set and coordinating dies to make my card. Die cut a stitched rectangle panel using the blue pattern paper from Watercolor Wash Brights patter paper pack. Then I used Simon Says Stamp’s Stacked Stars die to die cut some glitter stars and adhered on the top of the stitched rectangle panel. 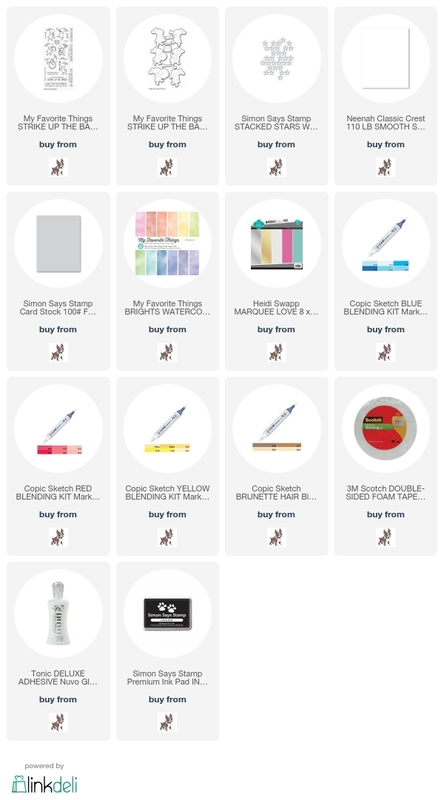 On the bottom of the panel, I adhered the stamped, copic coloured and die cut the images from Striking Up the Band stamp set. 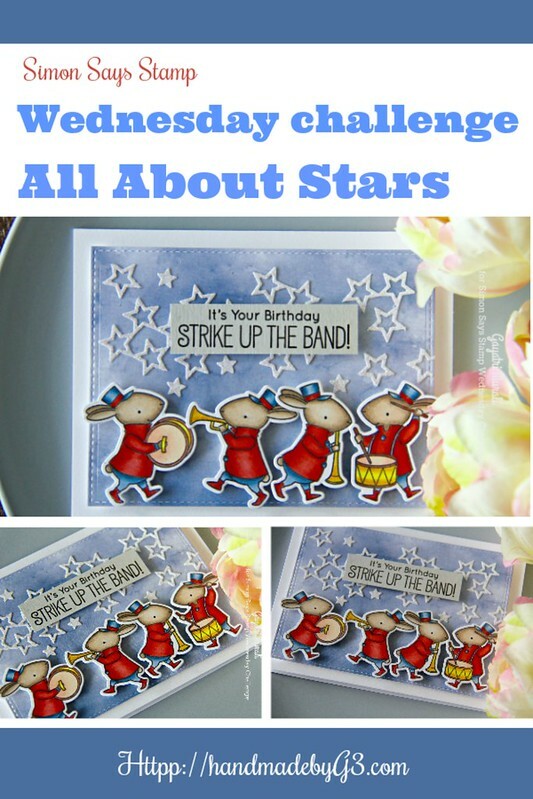 The sentiment is stamped on Simon Says Stamp Fog cardstock, trimmed and adhered on top of the stars background. The finished panel is adhered on a white card base. Here is a closeup. 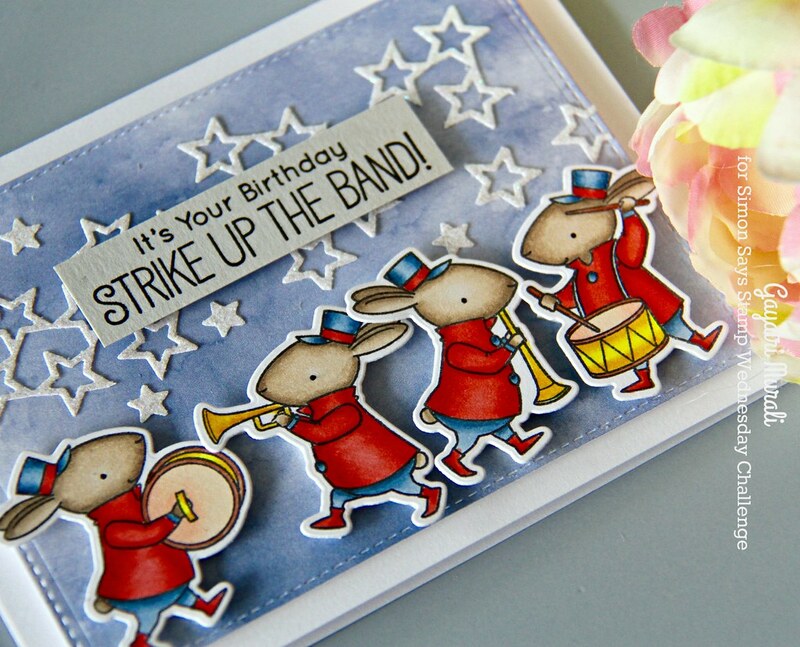 Gayatri, your little band is adorable, and your card is perfect for this week’s challenge!